Great number of precious technical monuments which demonstrate the level of progress reached here in the sphere of mining exist in the famous town of Banská Štiavnica. The town itself is situated amid a wonderful natural setting of the mountains Štiavnické vrchy. The set of technical structures associated with extraction and processing of polymetalic ores consists of mines, pits, extraction towers, ingenious system of canals and artificial water reservoirs. Its indivisible parts are the buildings of the first Mining and Forest Academy in Europe. There are 33 pits and mines, 5 stopes and 8 other technical structures in Banská Štiavnica. The pit Bieber is very popular. It bears the name of the well-to-do family of Štiavnica from the 15th century. It is 5,670 metres long. 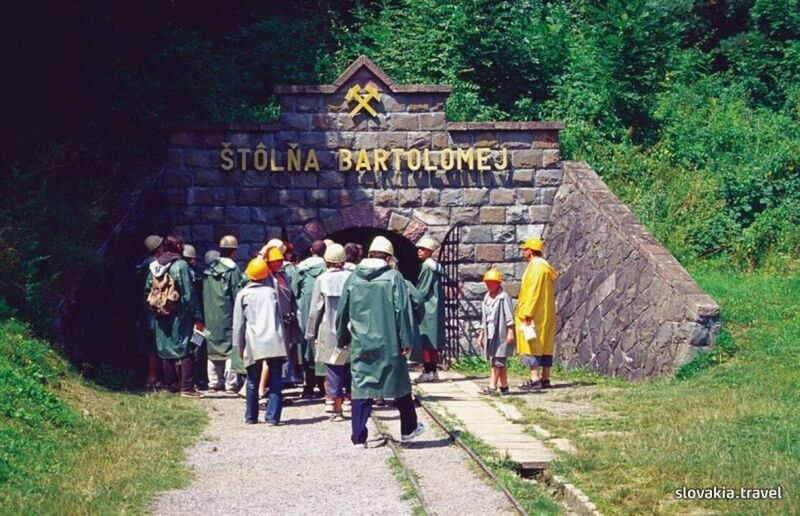 The pit Ondrej is open to public as part of the open-air Mining Museum of Štiavnica. It is 433 m deep. Along with pit Bartolomej, it is schemed to demonstrate the historical mining techniques. The historical building of klopačka - the structure used for calling miners to work is from the 17th century.